It seems natural that former mod makers would transition to the more powerful indie development tools available these days and their creations would only benefit as a result. There’s some truth to this. The indie game scene has gotten a lot of well deserved attention for its accomplishments. But we cannot let this blind us to the invaluable contributions of a healthy mod scene, or how influential it is to the industry even now. Mods reach a completely different audience than indie games. Outside the handful that reach mainstream popularity, indie games are only seen by those that seek them out. Even then, “indie gamers” represent an audience fragmented by genre tastes. This hinders exposure even by word of mouth. Mods exist in an environment already neatly organized on these exact lines. The game engine dictates the genre while the people its mechanics attract grow a community around shared taste. This instant access to an audience is also invaluable to multiplayer games. Few indie games tackle team-based multiplayer, and even fewer are successful for this exact reason. For a small game, the odds of regularly rounding up a 16v16 match at any time on any day are terrible. And if a multiplayer game cannot sustain full, but available game lobbies for weeks after launch, there’s little hope of it growing. Mods even bypass this issue by allowing the user to simply switch mods or go back to the basic game and check again later if a good match isn’t available. Which leads to issues of various barriers to entry. First is the cost of the game. As a mod maker you do not need to sell your game. Players have already purchased the product and made their valuations. A mod only needs to be appealing enough to justify its setup time. Secondly, we have barriers of developer access to genres, systems, and tuned mechanics. Maybe you have an idea for a novel RTS unit interaction. Unless you craft a high quality RTS around it (a mechanically daunting task), you may not be able to see the promise your idea has. Watching that mechanic play out in a complete game environment whose interactions you are already familiar with is far more informative. RTSs, MMOs, AI, finely tuned controls, netcode, and high fidelity graphics are all things difficult for new or small teams to create, but come along with an appropriate game they might mod. The third, subtler barrier, is evaluating the development cost. If you want to make an indie game, you not only need an idea, but an idea worth building an entire game around. Mods let you iterate on incomplete ideas while still reaching an audience to gauge reaction. What if you just want to see what Battlefield would play like if everyone was a pirate with a cutlas or blunderbuss? This exact mod was a reality for the original Battlefield 1942 thanks to its popular mod tools and community.The brightly colored art helped set the goofy tone, but was never polished or unique enough to make it a media darling as indies like Transistor became in recent years. But damnit, it was fun! I’ve rarely seen so much playful banter in a competitive multiplayer game as I have in Battlefield Pirates. Every day was talk like a pirate day. There’s also a lot to be said mechanically for the mods from this era. 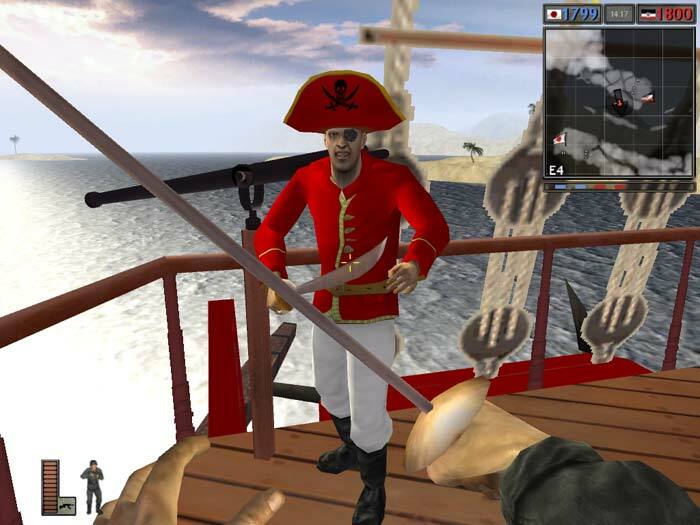 Themed pirate, European medieval, and samurai mods for Battlefield 1942 began to explore first person melee combat long before much of the mainstream. It would be years before War of the Roses or even Call of Duty:4’s infamous knife. For possibly the first time we got to see the interplay of easily spammed melee attacks with unwieldy, and slow ranged weapons in this multiplayer environment. 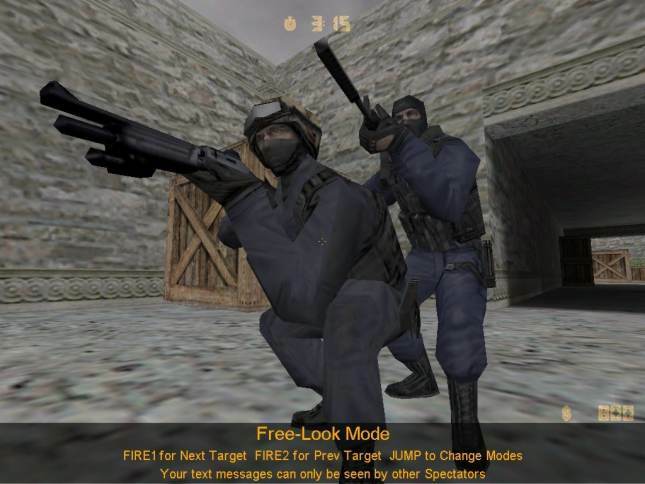 There’s value in these experiments, but for games developers took after one name rises to the top: Counter Strike. 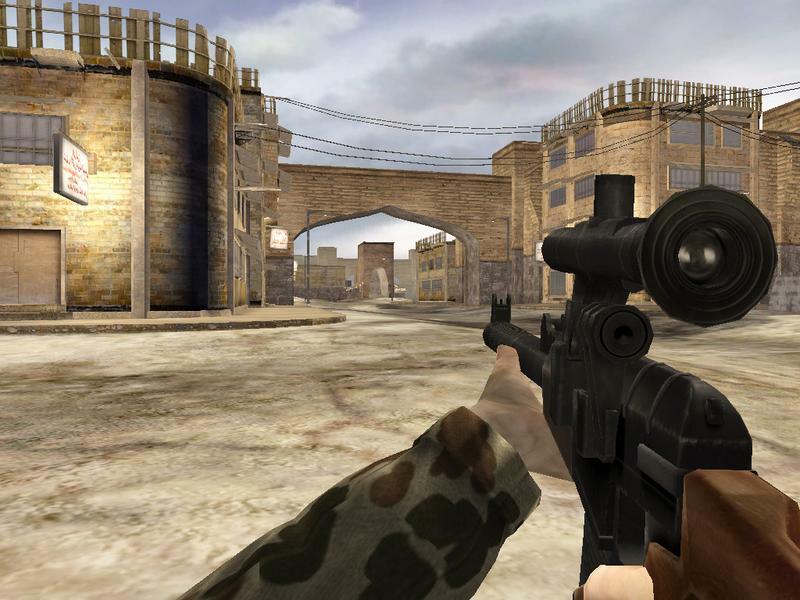 Still best in class over 15 years after its first release, Counter Strike popularized fast, round-based, team shooters and modern military settings. The game and team were so successful that you’d be forgiven for forgetting, or not knowing about the other mod team that may deserve equal credit for pushing shooters into the modern era. Desert Combat was a mod for Battlefield 1942 that you’d be forgiven for overlooking early in its development. It debuted with a catchy, but simple trailer of an A-10 flying around to the Matrix soundtrack. But it quickly grew to include a full suite of vehicles, soldier classes, and then levels of its own, all of which shared a level of fine tuning rarely seen in even published games. And the reason many know “Counter Strike,” but not the name “Desert Combat?” The team was hired by the developers to help develop Battlefield 2. Battlefield 2: the game that featured achievements, stat tracking, many contemporary staples, and pushed shooters into a grittier modern setting. All of this 2 years before Call of Duty:4 Modern Warfare. But that was then, and this is now. Aside from hold outs surrounding Bethesda games’ SDKs, and the decade old Half Life 2, the mod community at large seems to have wilted and fallen from popularity. This just makes it all the more astounding how much of an impact they still have on the industry. Let’s take a look at 4 of the most popular genre trends in PC games at the moment: horror, survival, MOBAs, and rogue-like mechanics. A full half of these are a direct result of mods that rose to popularity: the original Defense of the Ancients for Warcraft 3, and Day Z for ArmA 2. The other two have been pushed into the spotlight by indie efforts to revisit and expand their respective spaces. If these past and present examples are representative of the industry, we see innovation rises from the bottom up. Streamlined indie development has done wonders to fuel this. Yet it still lacks the format needed to iterate as rapidly, with as large of an audience, or in so many genres as mods can reach. Games like Call of Duty owe their lineage, in part, to modding. It’s nice to see that with Black Ops 3 it may finally start supporting a new generation of modders that can help the industry grow. This list does not touch on countless others, not the least of which are those that have tested the waters for more experimental ideas. Ex: for all the sameness of modern shooter settings, Battlefield 1942 and Half Life mods covered combat across the following conflicts: American Revolution, WWI, Vietnam, medieval Europe and Japan, and more.